Kindergarten, First and Second Grade classes sing "Santa Claus is Coming to Town"
Exeter-Milligan Fifth and Sixth Grade Band performed two numbers. 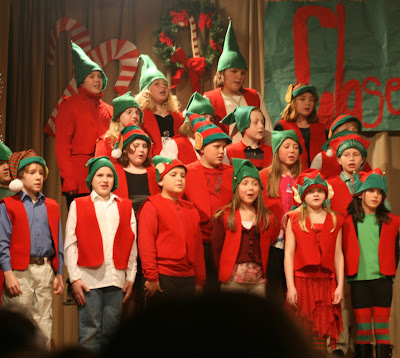 Exeter-Milligan Fourth Grade class were elves in the play "Close Encounters of a Christmas Kind". 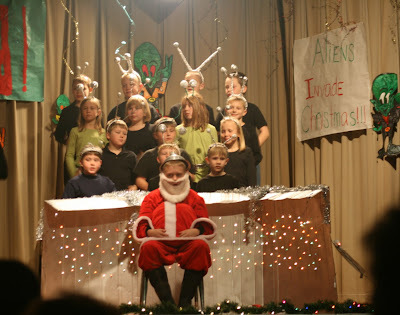 The Third Grade class were the aliens who helped abduct Santa. 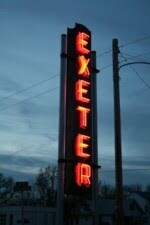 It was a "Close Encounters of a Christmas Kind" in the Exeter gym Thursday evening. 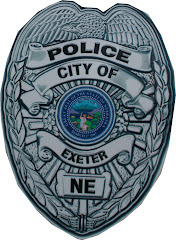 The Exeter-Milligan Kindergarten through sixth graders entertained their family and friends with band performances, choral numbers and a play featuring aliens and the crew from the North Pole. Elementary Music Director Mrs. Angie Murphy opened the program with the fifth grade band performing "Jingle Jolly Christmas". The sixth grade band performed the "Christmas Processional" and then were joined by the fifth graders to perform "First Rockin' Christmas"and "Rockin' Around the Christmas Tree" together. The fourth graders took the spotlight as they performed "Rahther Jolly Olde St. Nicholas" on their recorders before the Kindergarteners sang "I'm a Little Snowflake." 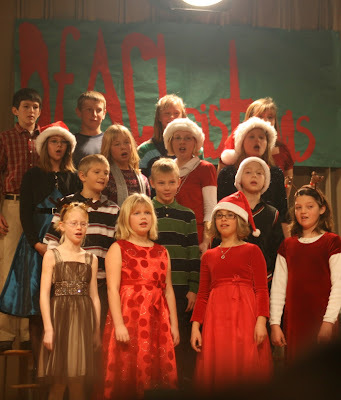 The first graders were disappointed that they were getting "Nuttin' for Christmas" while the second graders assured that crowd that "Santa is My Buddy" in their song. Together the Kindergarten, first and second graders performed "Santa Claus is Coming To Town," Chatter with the Angels," and "Blitzen's Boogie." Their dancing brought down the house asking "But do you know Blitzen?" The third, fourth, fifth and sixth grade classes performed the musical "Close Encounters of a Christmas Kind" by Michael and Jill Gallina. The third grade started the story of how Santa receives so many letters, faxes and email's with their song "Letters, Letters." In Scene II Santa was abducted by aliens who tried to read his brain. Santa, played by Sam Zeleny, explained about Christmas and goodwill and convinced the aliens to come back to his workshop so he could explain to them giving and making toys. During Scene Three, the aliens decided as they were working in the workshop that they would "Make 'Em and Take 'Em" as they hid the toys daily under their beds. After Mrs. Claus (Janey Due) discovered that the toys were missing she had a discussion with the elves and aliens about solving the mystery and "Do a Kind Deed." The aliens came to their senses and returned all the toys and learned the true meaning of Christmas. Santa gave each of the aliens their own heart and they returned the favor by giving Santa a red laser beacon to use if he ever needed the help of the aliens. The audience was informed by the students that whenever they receive a toy from Santa that is electronic, it's the aliens who make those toys. After the program families and students enjoyed cookies and refreshments in the cafeteria.